Suzi has started her career at the show “Der Zauberwald”. There she gained experience from the well known Franz Althoff and other terrific horse trainers. In her youth she went on a huge adventurous horse ride through France, Spain and Portugal for over a year. Since then she has trained horses for shows and movies. Back then in 1973 Gerd founded one of the first stunt companies in Germany. His dedication for horses, his work as sculptor and his additional fighter education as ‘Maestro d’Armi’ in Milan have shaped his work life. 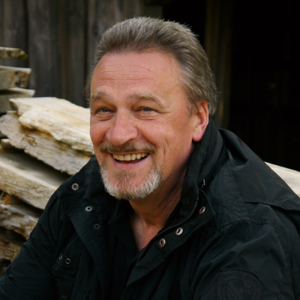 He has been working as stunt coordinator, 2nd unit director and horse master ever since. Vanessa has started her stunt career at the age of 18. 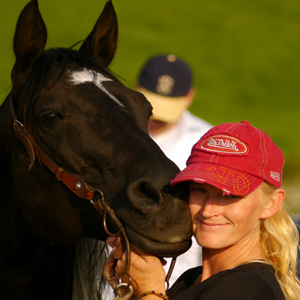 She has also passionately performed equestrian vaulting on international elite level for about 20 years. Since then she has worked as a professional stunt woman, stunt coordinator and horse master on international and national productions. Simon grew up in the stunt business. At very young age he already learned from his father, stunt coordinator Gerd Grzesczak. He studied production at the well-respected film academy of Ludwigsburg. His studies facilitated him to strengthen his creativity and his management skills. 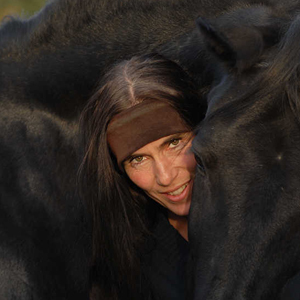 Jana is an excellent and very experienced horse trainer. She didn’t have a mentor, so she learned everything about horses by watching the horses and just trying out by herself from a very young age. Since then she has done lots of movies in the Czech Republic and Germany.